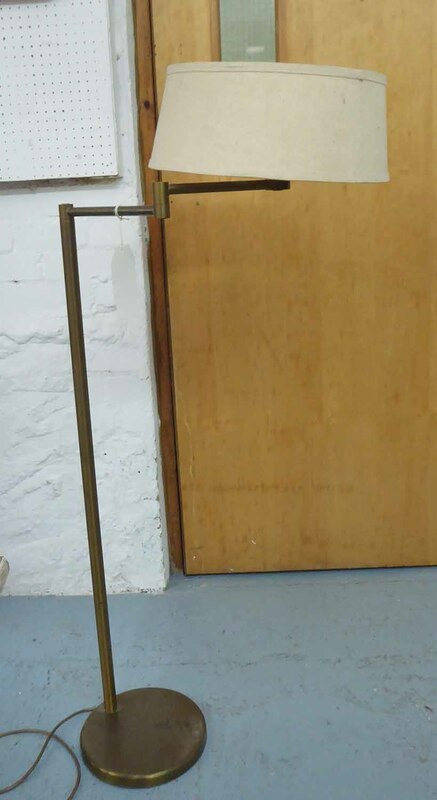 FLOOR READING LAMP, brass with adjustable arm, 104cm H.
You are the current highest bidder! To be sure to win, log in for the live auction broadcast on 17 Feb 2019 12:00 GMT or increase your max bid. 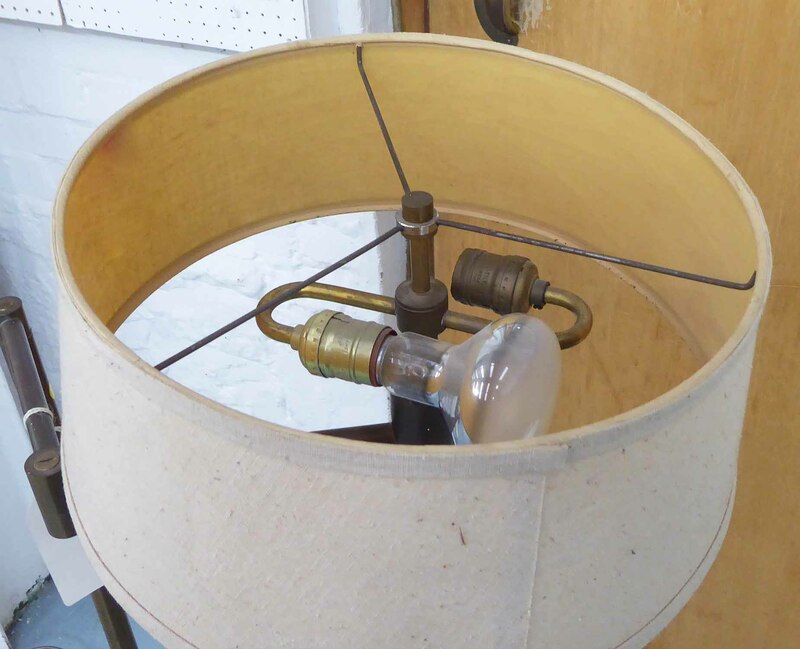 Lot 22 TABLE LAMPS, a pair, glass with shades, overall each 54cm H.
Lot 24 GARDEN BENCH, painted metal, 130cm W.